From building a concept, through writing the script, illustrating, animating, providing voiceovers... to delivering the final result. Having an explainer video can open many doors for your business. It’s proven that explainer videos are among the most powerful tools for converting viewers into clients. But finding the right company from so many explainer video companies that will create for you a five-star explainer video may turn into a tedious process. This is why we’ve made a research to find out the top companies in the field which create explainer videos from A to Z.
We’ve found several amazing teams that offer end-to-end solutions: from building a concept to writing a script, illustrating, animating and delivering the final result. All of this – tailored according to your specific brand, target audience, and the results you want to accomplish. 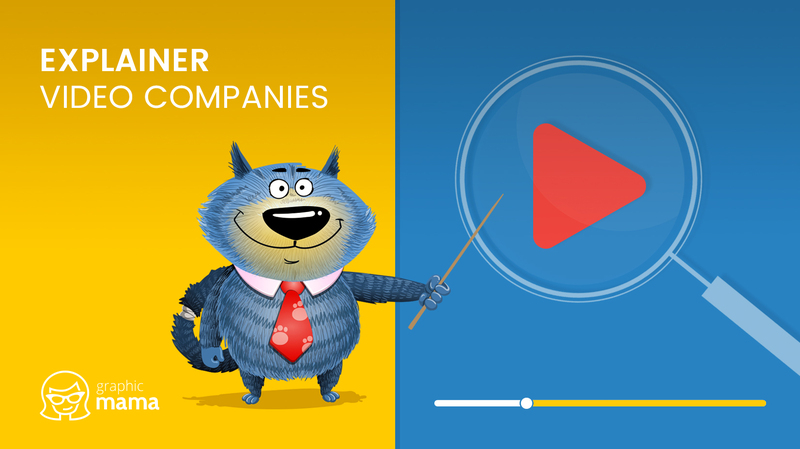 So, let’s check out these great explainer video companies! 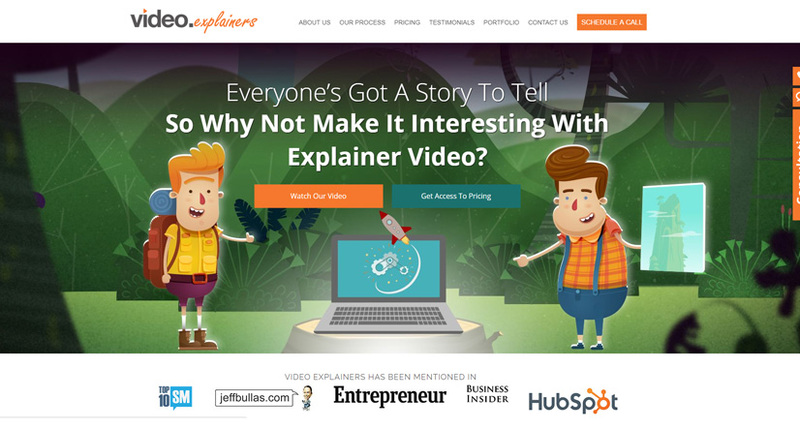 Video Explainers is a service that provides the full package for your explainer video needs. From writing the script by a professional scriptwriter, through creating a storyboard, drawing illustrations, providing voiceovers, to animating, building, and delivering the final video. Conveniently, Video Explainers has provided a gallery with projects they have completed for different brands in various industries. Checking out a few videos will help you get an idea of their service quality and know what to expect if you hire these guys. Pricing is not fixed. However, an animated explainer video usually costs from 15,000 to 25,000 USD, and a live-action video – from 25,000 to 35,000 USD. In order to receive accurate pricing information for your particular project, first, you will have to choose your desired video style and then fill out a few details about yourself. If you are not sure which video style to go with, we have a list of the 10 best explainer video styles for businesses. Yum Yum Videos is a service for high-quality explainer videos, educational videos, product videos and more. 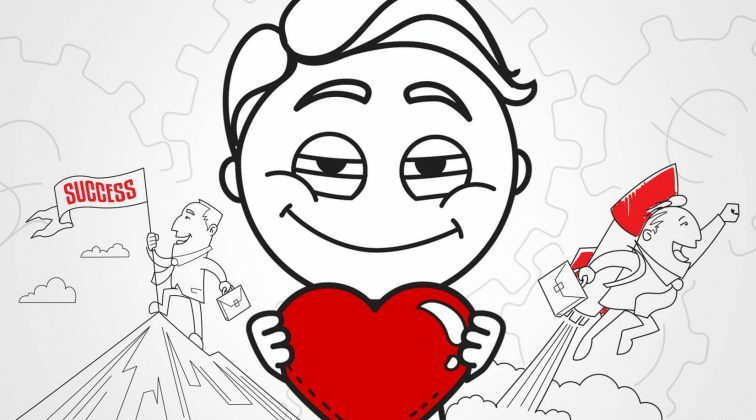 They have marketers, illustrators, animators, voiceover actors and even more professionals on the team. The guys at Yum Yum Videos handle the whole process of creating an explainer video from concept to realization. The process is divided into 3 stages. Firstly, you give the team directions after which they come up with a concept based on your brand identity and target audience. 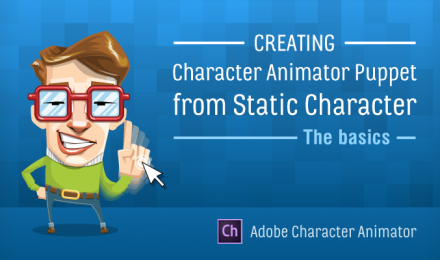 The second step is to create a storyboard and illustrations including character design. The third step is the actual animation. You are entitled to 2 revisions at each stage which makes 6 in total. While there is no fixed pricing, at Yum Yum Videos say that prices for an average animated video go between 7,000 and 15,000 USD. Each video is designed to engage specifically your target audience. Before you make a decision to place an order, browse the gallery of previous projects made by Yum Yum Videos to get a taste of their service quality. 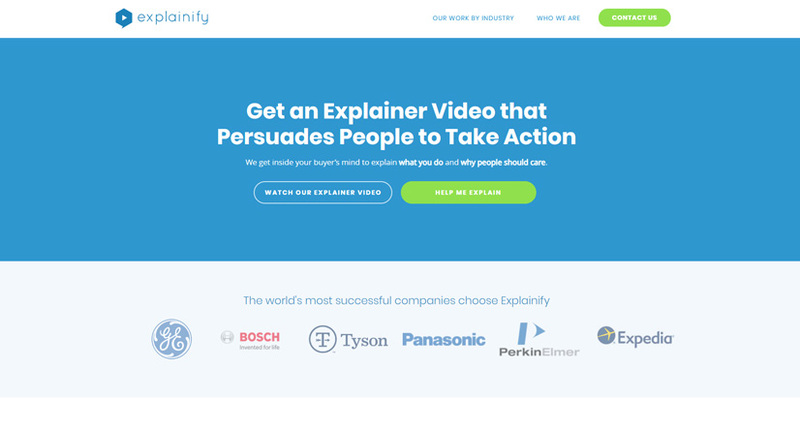 Explainify is a service dedicated to creating explainer videos from different categories and industries, as well as product videos, PR videos, sales videos, etc. The team offers a whole package solution for your explainer video needs – from researching what’s best for you to final implementation. You will receive a concept for the message and the type of visual presentation according to what you want to convey and what actions you want the end users to take. Pricing starts from 12,000 USD for an animated explainer video and the process takes about 8 weeks. Before making a decision, we recommend that you check out Explainify’s portfolio. It is conveniently arranged into categories: technology, enterprise IT, software, products and services, healthcare, science, PR, finance. Watching a few videos will help you understand what to expect and if Explainify is the right service for you. Demo Duck is a company which provides high-quality explainer videos, educational videos, tutorial videos, commercials and more. The team behind Demo Duck works with animators, illustrators, filmmakers and other professionals from all over the world. When it comes to creating explainer videos, what you receive is a combination of creativity and engagement. The creativity factor is needed to grasp the attention and interest of the viewer. The engagement factor works for conversions – making people take the desired action after watching the video. 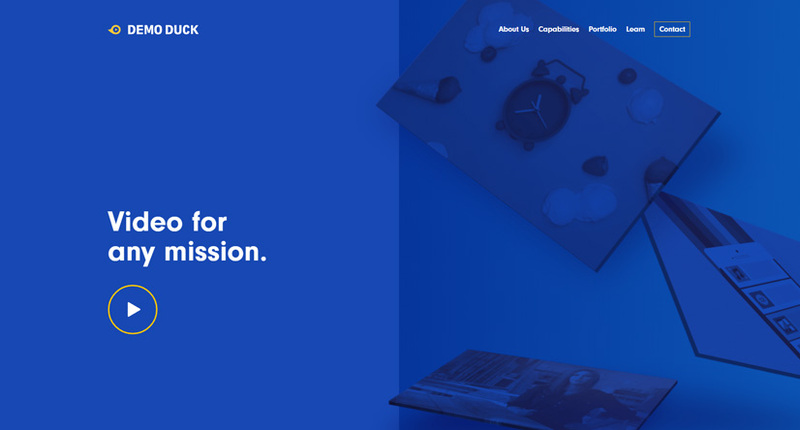 When considering Demo Duck’s services, a good place to start is checking out their portfolio which includes examples of real projects across different categories. The pricing for an animated explainer video is usually within the range 10,000 – 20,000 USD depending on your needs, and the timeframe – about 6 weeks not counting the revisions. Approximate timeframe: Up to 25 days guaranteed. Otherwise, it’s free. 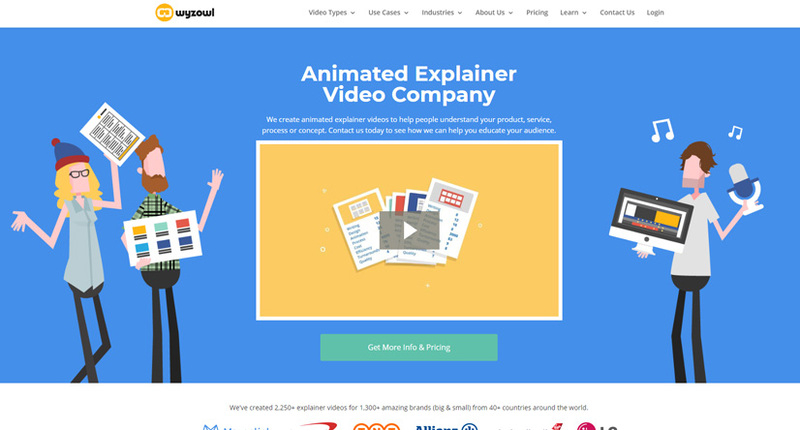 Breadnbeyond is an expert explainer video company in various video styles: cartoon, whiteboard, motion graphic, cut-out animation, kinetic typography and more styles in 2D and 3D, all of these delivered in HD resolutions. One of the company’s policies is complete transparency from the beginning, so you will know your exact cost upon starting a project with Breadnbeyond. 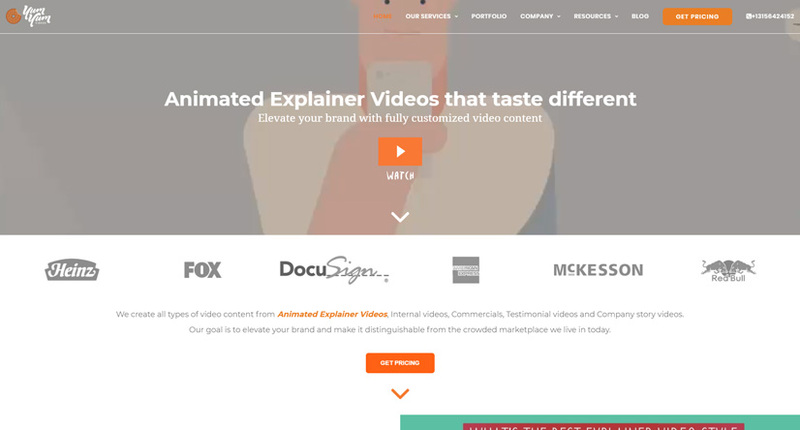 Breadnbeyond makes a promise that we haven’t seen any other explainer video company make. 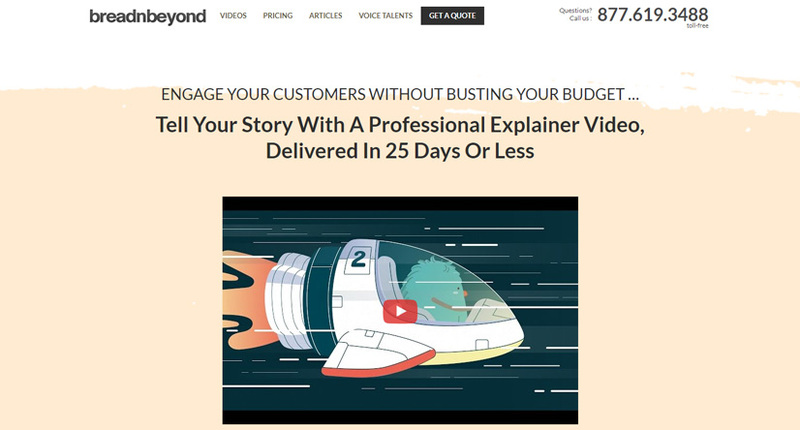 The promise that they will deliver your explainer video in 25 days. If they fail to do so, they wouldn’t charge you a penny. Well, this certainly sounds like a great deal! Wyzowl is a service providing animated explainer videos, animated interactive videos, training videos, product videos, and many more kinds of videos. The brand provides a portfolio of real projects created for clients for each service category. This means, whatever your needs are, you can check out a few examples to see the service quality before contacting the team. While exact pricing isn’t available on the website, it is stated that you will get a fixed pricing that won’t change along the way no matter how many revisions you may have. Also, this price would include an initial consultation to clear up your needs and requirements, writing the script, making the design, illustrating and animating the video, providing options for voiceover, music, sound, and effects. In the end, the team guarantees a high-quality video delivered within a previously fixed timeframe. Switch Video is a service creating B2B explainer videos, B2C explainer videos, and internal training videos designed in a style of your choice: animated, motion graphic, whiteboard. Once you explain your goals and requirements, the team creates a concept and transforms it into a simple message combined with engaging and effective animation. A great advantage is that Switch Video delivers 2 versions of your video, each with a different call to action, so you can split test and see which version performs better. The big gallery of projects will help you get an idea of the work Switch Video creates before getting in touch with the team. The pricing and timeframes are custom for every single project and depend entirely on your specific demands and needs. 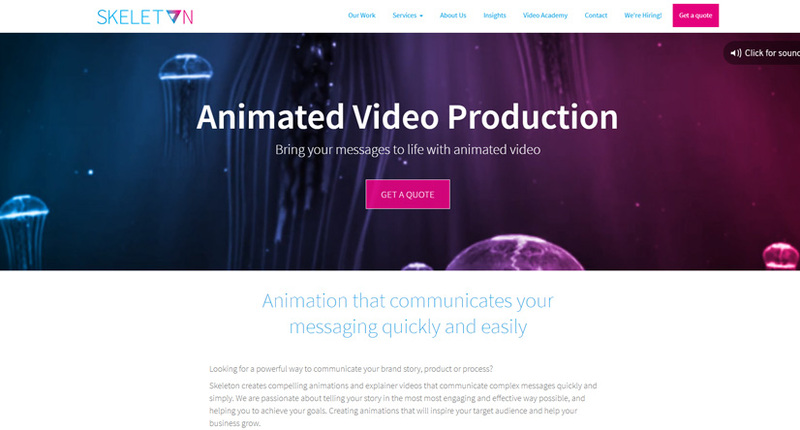 Skeleton is a brand for complete video marketing strategy solutions, including animations and explainer videos. They have established an effective process of 7 steps as follows: setting clear objectives, researching the target audience and the markets, deciding on core messages, developing creative ideas and stories, writing the script and creating the storyboard, animating and editing, measuring results. The whole video – from concept to animation, will be created with a few factors in mind – who you want to reach (your target audience), what your message is that you want to convey, and what actions you want your target audience to take after they watch your explainer video. There are quite many examples of animated explainer videos on Skeleton’s website, so feel free to browse and watch before getting in touch with the team. 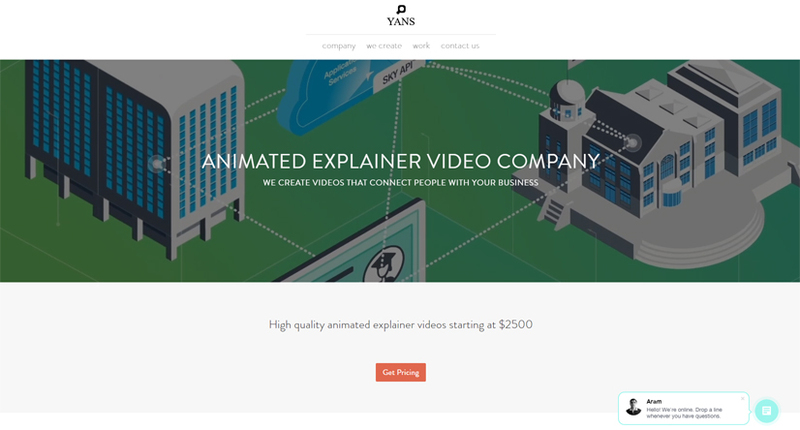 Yans Media is a company for animated explainer videos. 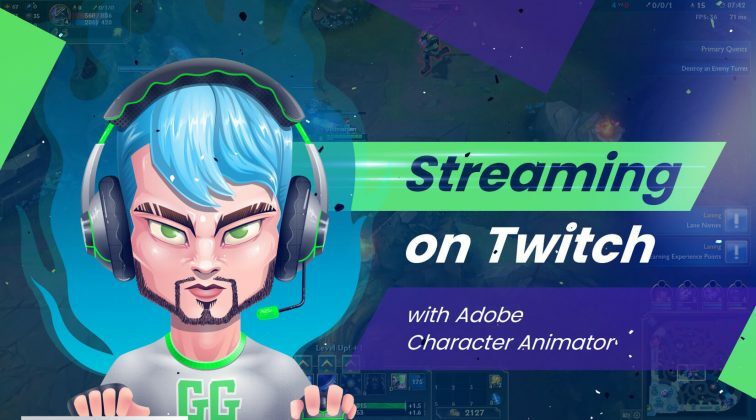 They also create product videos, landing page videos, startup videos… Pretty much, every kind of animated video in 2D, 3D, and motion graphics. The team handles the whole process from concept to creation, and you get 2 revisions at each stage. On Yans Media’s website, you will find quite impressive examples of explainer videos and other types of animated videos that the team has done for other brands. Finding the perfect explainer video company that will create for you a high-quality explainer video from concept to realization at a reasonable price within a reasonable timeframe is not mission impossible. Moreover, the benefits you will receive from having such a video are certainly worth the research and the wait. Well, we hope we’ve been helpful with the “research” part. Remember that asking for a quote is free, so you can contact all of these explainer video companies in order to find the best solution for your specific needs.